Dubai-based Majid Al Futtaim, a leading shopping mall developer and leisure pioneer, said its retail unit is set to deploy flexible SD-Wan from Orange Business Services throughout its Middle Eastern operations to connect cloud applications and digitally transform its regional retail offerings. Majid Al Futtaim Retail holds the exclusive franchise rights to operate Carrefour in 38 markets across the Middle East, Africa and Asia. Operating over 250 Carrefour stores in the region, Majid Al Futtaim Retail recognised the need for a new type of connectivity to provide robust, reliable networking for its retail sites, with end-users across 15 countries. The managed SD-Wan solution from Orange will enable Majid Al Futtaim Retail to strengthen its omnichannel strategy, designed to provide a seamless shopper experience. It will also support its launch of Carrefour’s online e-commerce offering that it is gradually rolling out across the countries in which it operates, said a statement from Majid Al Futtaim. The company’s wide area network makes it ideal for an SD-Wan deployment that will bring benefits in terms of intelligence and the ability to scale quickly to support their smart retail applications, such as SAP for its e-commerce platform. Majid Al Futtaim already has 7.5 million unique registered customers in the UAE alone, all of whom expect the connectivity to give them the experience they demand. Majid Al Futtaim Retail Senior VP for Omnichannel Solutions Marco Urios pointed out that connectivity was key to the future of retail. 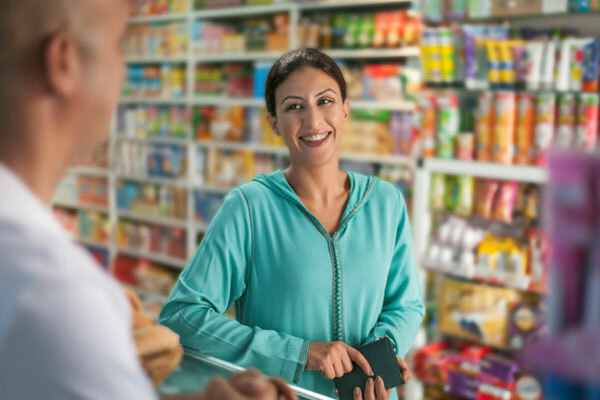 "Our customers expect a seamless next-generation retail offering that leverages data to improve their experience – and we need a state-of-the-art fully secured network to deliver it. Flexible SD-WAN by Orange is a key enabler of our omnichannel customer experience," he noted. "Majid Al Futtaim has a clear vision and ambitious strategy, and Orange Business Services is delighted to be working with them on their retail digital transformation program. With our deep consulting capabilities and our expertise with SD-Wan solutions, we are well placed to serve as their trusted partner," he stated. Orange Business Services VP (Middle East) Luc Serviant said: "Orange has extensive SD-Wan experience around the world, but Majid Al Futtaim is our first customer in the Middle East region to roll this out." Flexible SD-Wan by Orange is a global solution that is a fully automated, intelligent network with on-demand virtualised services, centrally orchestrated for end-to-end performance and control, he stated. "It provides companies with a flexible and agile way to adapt the enterprise network to user needs, and is a future-proof solution completely integrated in the Orange SDN architecture," explained Serviant.